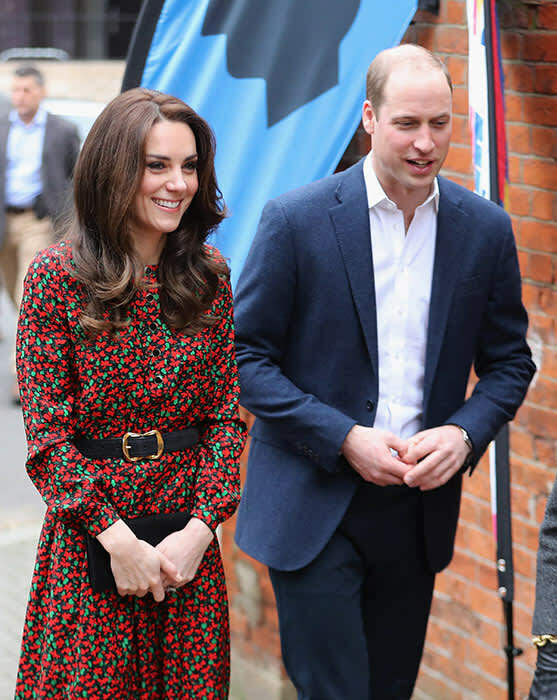 Kate Middleton is fashionably festive in £720 Vanessa Seward dress | HELLO! The Duchess of Cambridge appeared to be in a festive mood as she attended a Christmas party in London on Monday. Kate wore a colourful red and green Vanessa Seward dress for the occasion, where she was joined by her husband Prince William and brother-in-law Prince Harry. The 34-year-old looked stunning in the floral print silk-jacquard woven knee-length dress from French fashion designer Vanessa Seward. She paired the elegant dress, which is currently on sale for £432 on Net-a-Porter, with a black waist belt, clutch bag, court shoes and Fern Hoop earrings by Catherine Zoraida, which the Duchess has now worn on three different occasions. With her hair worn down in her signature glossy blow dry and smoky eye make-up, it was the perfect party-ready outfit for Kate, and a far cry from the casual jumper and jeans we last saw her in as she visited a Cub Scout Pack in Kings Lynn on Wednesday. The royal trio were guests of honour at the Heads Together Christmas party, which was held to celebrate the hard work that volunteers give throughout the year. Princes William and Harry each joined a group breakout session where counsellors and volunteers shared knowledge and training on dealing with a range of issues, including homelessness. Meanwhile Kate, 34, joined a live online chat about counselling with volunteers and young people from around the UK. The party was hosted by youth support service The Mix, one of the eight charities involved in the royals' mental health campaign, Heads Together. William, Kate and Harry had the opportunity to speak to volunteers from The Mix, and heard about their personal experience of online and telephone counselling support. At the Christmas party reception, the royals also kicked off The Mix Annual Awards by presenting the Volunteer of the Year Award.